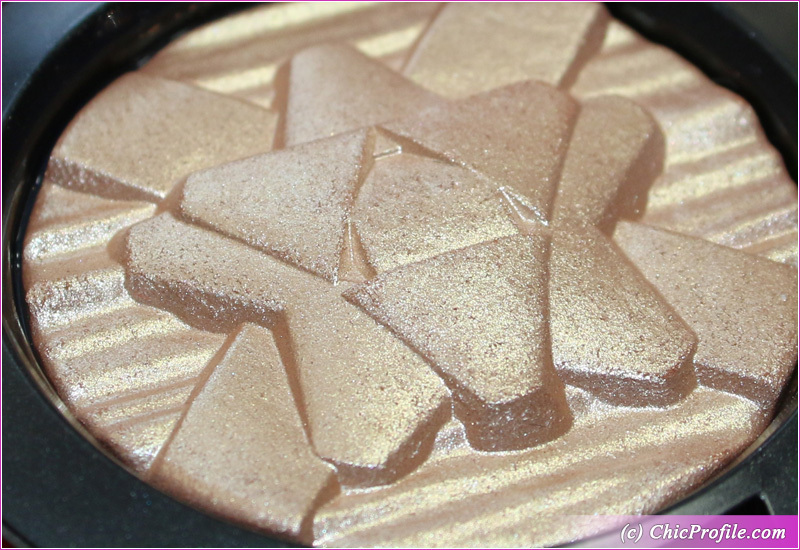 MAC Whisper of Gilt and Beaming Blush Extra Dimension Highlighters are other beauties that I bought from MAC Holiday 2018 Pretty Shiny Things Collection. 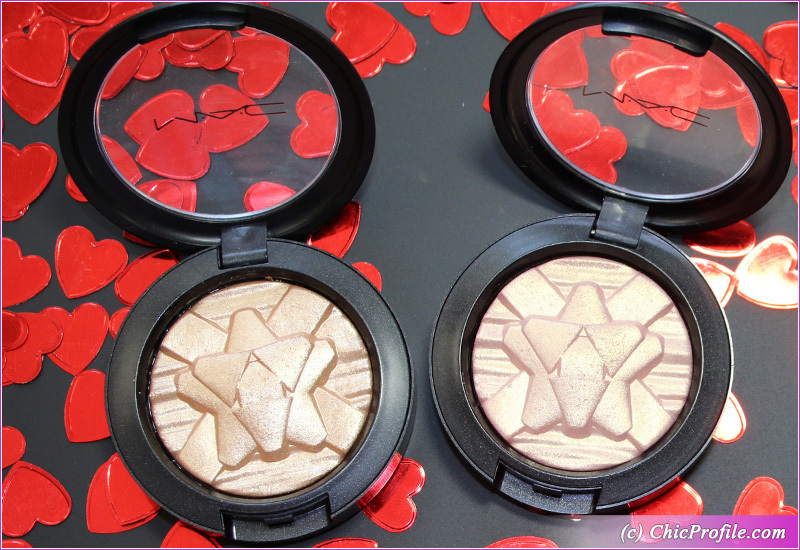 These two MAC holiday 2018 highlighters are available in a mini size format (0.17 / 5 g) and are part of MAC Glow Getter sets. Basically a set contains one of these shades, along with a Strobe Cream (1.7 fl oz / 30 ml) and a mini size 161SES Duo Fibre Face Glider Brush. 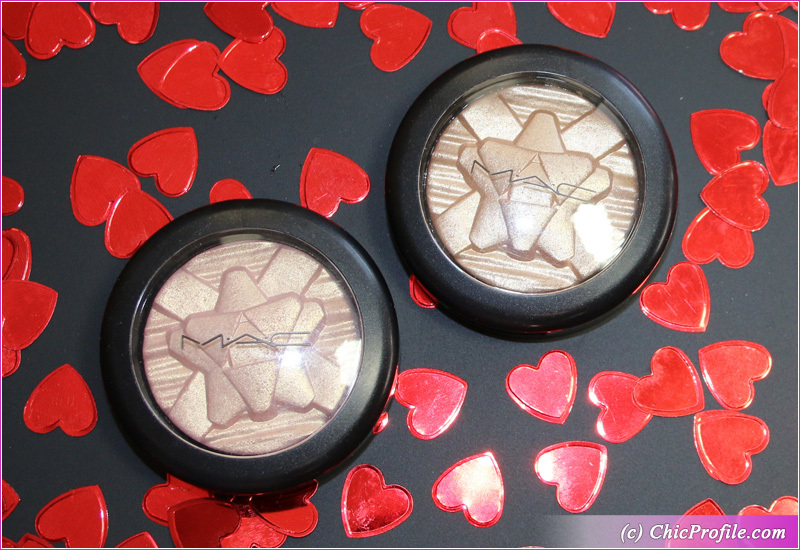 Each set of MAC Glow Getter retails for $39.50 / £39.00 and is available in a limited edition. For me these were the centerpieces of each set being swept away by the festive bow pattern. I have to admit I’m still falling for a pretty pattern now and then or a beautiful, unique packaging. In this case it was the bow-embossed mini Extra Dimension Skinfinish that got my attention and my money. 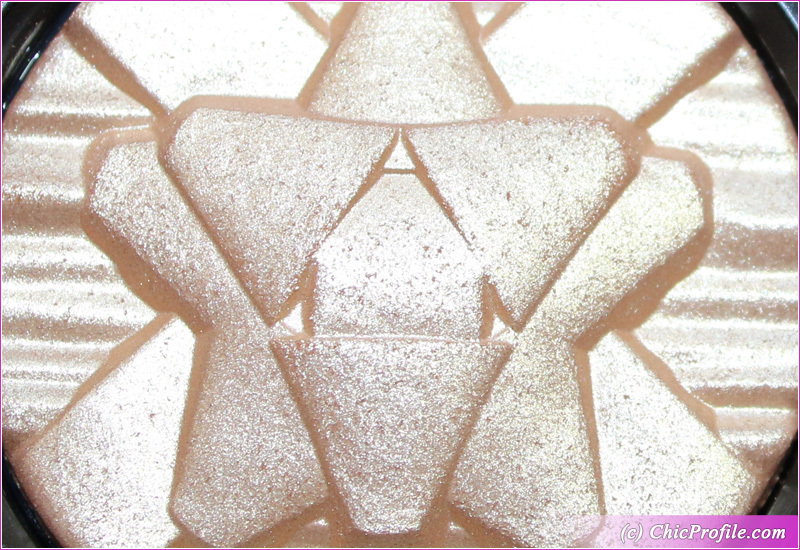 The same bow-embossed you will find in the full size shades of MAC Snowflushed and Oh Darling Extra Dimension Skinfinishes (review, swatches). They are also part of MAC Holiday 2018 Pretty Shiny Things Collection and are a limited edition, even though the last shade is a repromote. Both shades, Whisper of Gilt and Beaming Blush are repromotes and part of the permanent collection. If you don’t want to splurge and get them in a mini size version along with the MAC holiday 2018 kit, then you can find them in a full size as well. Obviously it won’t be under the same, gorgeous bow-embossed formula but if you are in only for the color that’s totally fine. MAC Whisper of Gilt Extra Dimension Skinfinish has been repromoted over and over again and I bet we’ll be seeing the shade in further collections as well. What I love about MAC Extra Dimension Skinfinishes is that you can wear them in so many ways and they look great on every skin tone. Basically they are highlighters and skinfinish powders that can be applied on key points of your face to illuminate and give you a nice glow. If you have fair skin, medium or even a darker skin tone, you can still adapt the Skinfinish color to your preference. As you know I’m a light skin tone so I don’t ask for an intense highlighter usually. I like to build up the pigmentation layer by layer, without getting a very intense color from the first application that takes time and effort to blend it. With MAC Extra Dimension Skinfinish I can just start with a light, beautiful but not to intense color and easily build it up if I feel like it. This way, I can use the colors during the day and just get away with a single layer or intensify them more during the evening when I need that extra glow. Even those of you with very fair, milky skin tones can use it without fearing it will look to intense on them. There are several ways that you can wear this product. I like products that are versatile, that can be used for more than one thing. This way I consider I get a great value for the money I spent. These products right here can be marked under this category. You can apply them to the face and not only on the top of your cheekbones. Having such a buildable coverage they give you the possibility to apply them to your face without looking like a disco ball. I prefer to use them as highlighters, apply them gently on the bridge of my nose, on the eyes, temples, cupid’s bow and sometimes above my eyebrows. 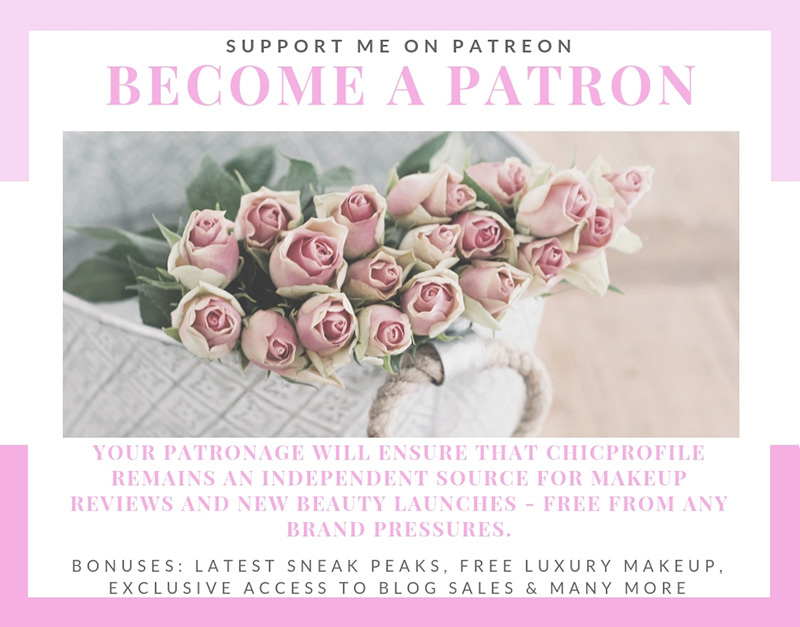 Where you want to apply it and how much pigmentation you want to achieve I think it also depends on the occasion or place where you want to wear them. If we are talking about enjoying a night out, clubbing, dancing or going out late, you can definitely intensify the color up to 3 layers. I would want to get a more beaming, glowing, well-defined look so I wouldn’t be shy in applying 2-3 layers and intensify the color. If we are talking about wearing it throughout the day at work, meetings, school, then I would go only with one layer as I want to achieve a luminous look. I guess in the end is definitely up to you how you want to wear the MAC Extra Dimension Skinfinishes. 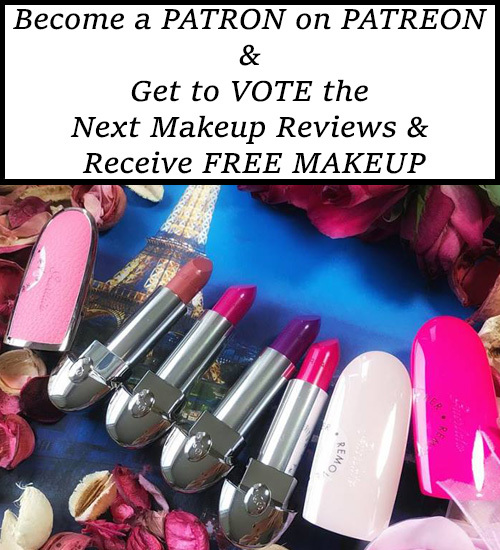 If you want to go just for a luminous glow, natural healthy look or you want a bright and intense glow. This product definitely allows you to play with it the way you want to. 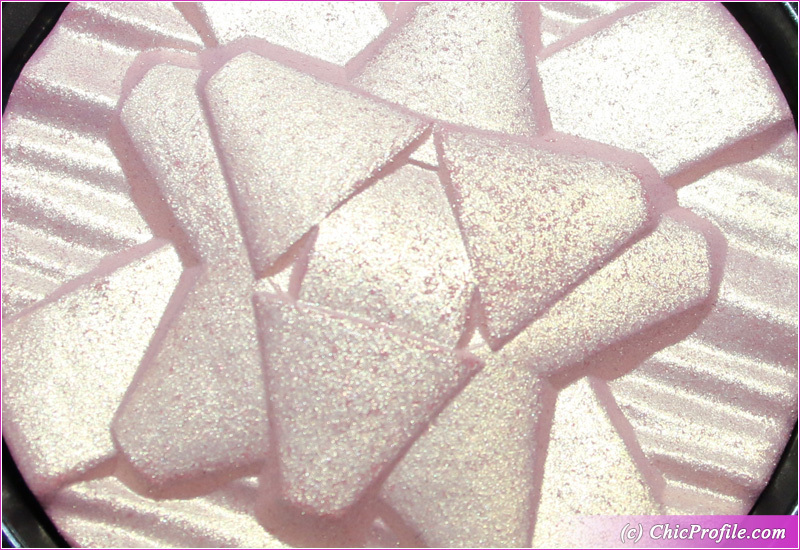 MAC Whisper of Gilt is presented as a light soft white gold with shimmery sheen. I see it as a light gold-champagne with warm undertones and a subtle sheen. It has a good color payoff but is not super pigmented or opaque in a single swipe. 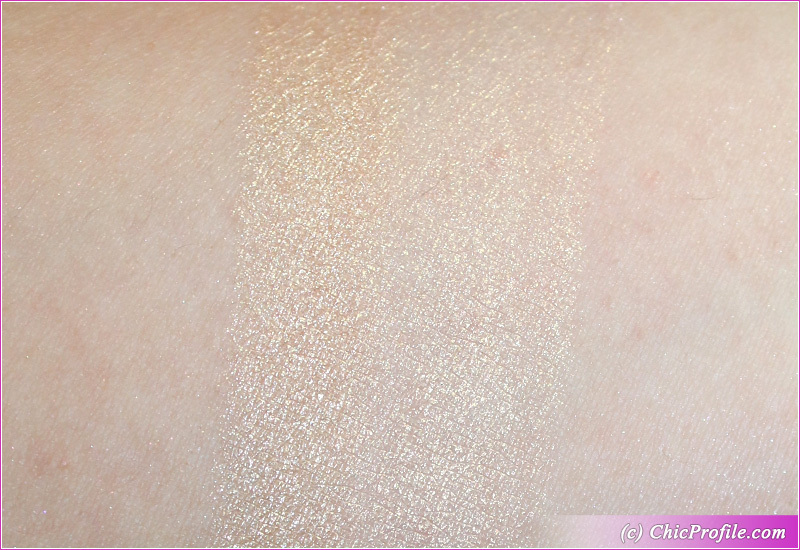 I took swatches on my bare skin without any primer applied so you can see how the color looks in a single layer. Is a forgiving color that doesn’t come too intense on the skin. It’s easily buildable and you can get full opacity in 3 layers. I personally prefer to apply it in a single layer. The finish is more shimmery, providing a high-shine but not something that can be called metallic. If you apply the product with a damp brush, you will get more intensity out of this color. The formula is more like a liquid powder with a creamy, soft texture. It was easily blendable and so easy to apply and work with it. I didn’t notice any fall out during the application and it didn’t emphasize my skin texture either. I got around eight hours wear until I noticed the color was fading. The color had semi-opaque coverage which was easily buildable in two-three layers. I can start applying this color with a dry brush for a luminous, soft glow. If I use a damp/ wet brush I’m getting more of that shimmering, sparkling finish. The consistency is soft, just a little bit dusty but it does have larger sparkle particles than Whisper of Gilt. So this color appeared to be more shimmery and sparkly than the previous one. I had no problems blending the color, intensify it if I wanted and all without any fall out during the application. It looked beautiful on me without emphasizing my skin texture. I got a little bit over eight hours wear before the color started to fade. At the end I want to mention that even though I liked the color of Beaming Blush more, Whisper of Gilt performed way better. 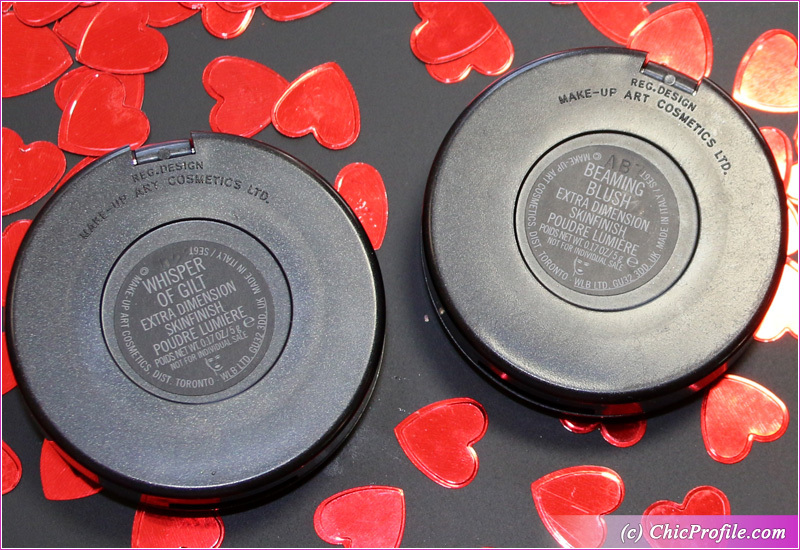 The formula was much smoother comparing to Beaming Blush. If you are just looking for a beautiful glow, luminosity and adding radiance but without shimmer and sparkle then Whisper of Gilt is your buddy. 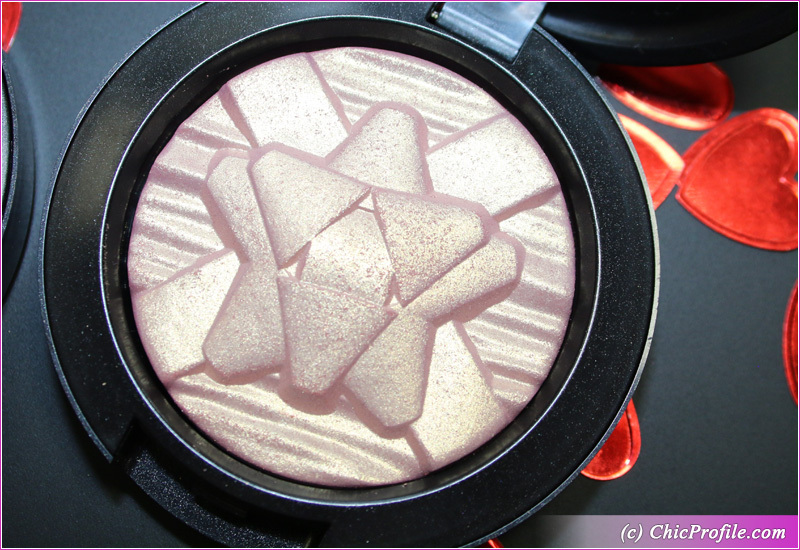 Beaming Blush if for those who appreciate a touch of shimmer and don’t mind a little bit more of a sparkle.